This is how I rotate through small group instructional time. Each group in my class contains between 5 and 8 students. 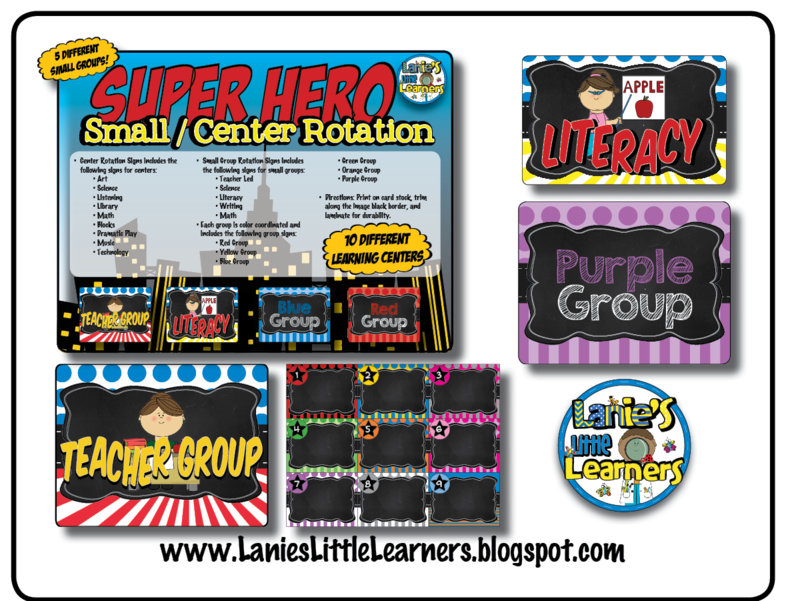 Each small group rotation lasts about 15 to 25 minutes. The Small group work stations change daily Monday through Friday. The students get to choose which small group station to work in. My small group tasks contain the following subject areas: math, literacy, writing, and science. This is separate from interest areas which are: dramatic play, sensory/science, music, blocks, art, technology, math, and library. FREEBIE! Click on the link below which will take you to my Teachers Pay Teachers Store. Then click on the PREVIEW link. The PREVIEW contains (6) color group lists for you to fill out in Adobe Acrobat. If you like what you see please leave me a comment good or bad. This way I can improve the materials I create for not only my classroom but for others. This is how I rotate through centers or “interest areas.” I have labeled each center and given the center color identification. This way when I describe centers, I can use both color and name. It’s also easier for little ones to find the right center by giving them multiple ways to view labels. I rotate downwards and then back up. Not all centers are open every day but a majority of them are. I have made individualized name tags for each student. Each student has their own unique name tag to help them identify their name in print. The package contains 24 personalized name tags. Use Adobe Acrobat to type the names in. Don’t worry, the text automatically resizes to fit the space. I attach the names to a plastic clothespin with a hot glue gun. I find the plastic clothespins last longer than the wooden ones. Also, if you need more than 24 personalized name tags with numbers the last 2 pages contain both editable numbers and names. NOTE: Instead of having a “computer center” I used a technology center, to include the use of tablets and/or SMARTBoard as a center.